Kids are notorious for coloring on the curtains, smashing valuable antiques and cracking our most precious items. 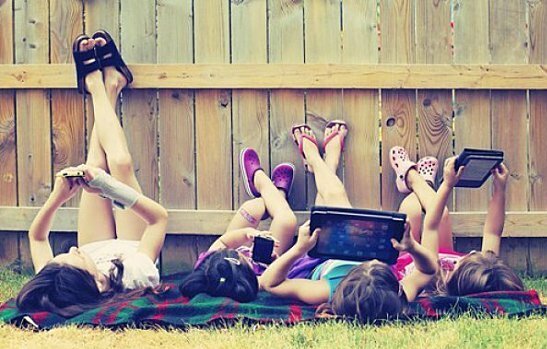 When it comes to gadgets for kids, it’s a wonder we haven’t found a solution to this conundrum. Gazelle recently surveyed more than 600 Americans with children under the age of 25 and found some eyeopening information about gadgets for kids and broken devices. When it comes to their wallets, parents are just as destructive as their kids. With mobile carriers eliminating subsidies and consumers becoming aware of the true cost (an average of more than $450, according to Citibank) for a new smartphone, people are virtually throwing away billions of dollars by buying their children a brand new device. Remarkably, while so many parents reported that a child broke at least one phone, we found that a vast majority of parents are still buying brand new gadgets for kids to replace the broken ones. This is akin to replacing your child’s wrecked car with a brand new car, and this is likely to happen fairly often. According to the survey, 21% of parents preferred to spend the maximum amount of money on a brand new device (that is likely to be broken!) and stated that they would not consider buying a pre-owned device. We saw an interesting split among this small percentage and one conclusion is that the operating system plays a role in this decision. Out of the parents who would not consider a pre-owned device, we saw almost all of the iOS parents primarily concerned with quality and the Android parents mostly concerned with security. Considering Apple/iOS is known for high quality products and the open-source Android’s security is often questioned, these sentiments are right in line with both party lines. Brian Kramer is the director of communications for Gazelle. Reach him at bkramer@gazelle.com. Why Buy a Certified Pre-Owned Phone?